Shelved plans to visit Wimbly Lu because the foodies didn’t like it. But the friend insisted that they had the “best waffles” (this word “best” is starting to make me cringe. It’s overused) so we agreed to go there. While the place is pretty, it’s also a little cramped and crowded (on a weekday). Not suitable at all for chilling and catching up with friends. We got seated at the astroturf area which was cute but not exactly the most comfy. Once they cleared our plates we didn’t feel good about sitting around and taking up space… the place was not conducive for convos anyway. I think we hung around for half an hour, max! That said, I did enjoy the desserts we had. The scoop of salted caramel ice cream (gosh, I typed ice scream at first. I’ve been watching too much Ironchef America!) is a little small but I personally feel that the waffle tastes better plain. Next time I’ll go with the plain one with maple syrup. Love maple syrup. 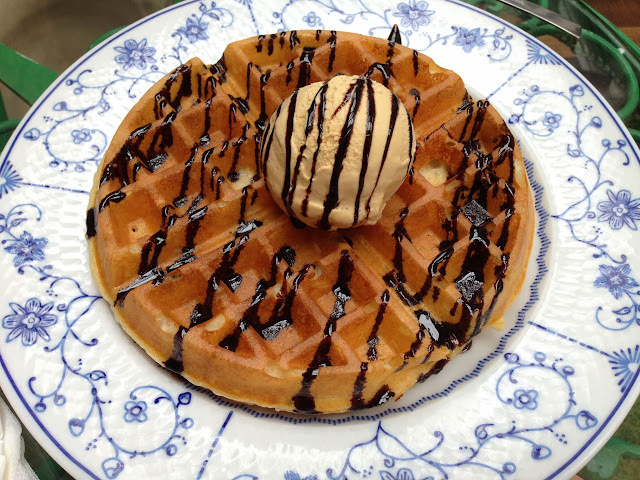 The waffle ticks all the right boxes- crispy outside, airy inside, and the buttery fragrance is lovely. Better than creamier’s? Yes, I think so. But creamier’s ice cream is much better. I mean, who can beat their pistachio (with cream cheese) ice cream?! 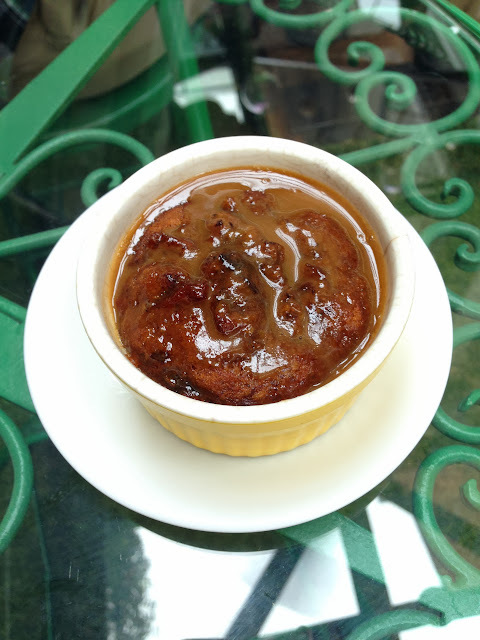 We enjoyed our sticky date pudding too which was served warm with a hot, liquid toffee sauce. This was rich, not too dense, and sticky because of the chunks of dates that were inside.